Train2game has been told that the London games festival Art Exhibition has raised over £21,000 as the auction enters the final stages. The art exhibition was held to raise money for the charity, SpecialEffect who help many people with disabilities to be able to play their favourite games with their friends and family. Some of the pieces of art that are on sale include the stunning Joker’s Death concept sketch from Batman: Arkham City, a fantastic New Super Mario Bros composite, and a huge signed Football Manager 2013 canvass. As it stands at the moment it looks like the auctions are going to make over £25,000 for the charity which will help them to help more people to play games. You can continue to help SpecialEffect by watching and sharing the video below and help them reach their target of 25,000 views by Christmas day! Good news for PlayStation Plus subscribers! For the festive season Sony are adding a number of new games including: Batman: Arkham City, LIMBO and Vanquish. All the games are added to the PlayStation Plus service on December 5. Nintendo are offering a similar service where new and existing owners of the 3DS XL who register before January 15, 2013 will be able to download one of five games from the eShop. The titles on offer are Super Mario 3D Land, Professor Layton and the Miracle Mask, New Art Academy, New Style Boutique and Freakyforms Deluxe. Take Two Interactive CEO Strauss Zelnick has announced that the Grand Theft Auto series has shipped over 125 million games since its debut on on the original PSOne. Zelnick put the series’ continued success down to the firm’s refusal to annualise as Activision has with Call of Duty. Microsoft has announced that they have sold over 750,000 Xbox360’s over the Black Friday week. Xbox LIVE Gold Subscription sales also saw a surge of more than 50 per cent compared to last years Black Friday week, and US entertainment application hours logged on Xbox LIVE during the week of Black Friday was up 43 per cent over last year. Microsoft has announced sales of 40 million Windows 8 licenses in the operating system’s launch month but 40 million licenses sold does not mean there are now 40 million Windows 8 users. Countless numbers of licences are bought up by hardware manufacturers for future use in new machines. Dishonored is, clearly, a new franchise, publisher Bethesda has said. Sales of the Arkane-developed first-person action game are above expectations, Bethesda marketing chief Pete Hines told Destructoid, and so publisher Bethesda has added it to its stable of franchises, which includes Fallout, Elder Scrolls and Doom. In the UK Dishonored entered the chart at number two following its October release. It was kept off top spot by FIFA 13, but is the biggest launch for a new IP so far in 2012 (a title previously held by Sleeping Dogs). This record was achieved despite UK numbers company Chart-Track not counting digital copies sold. Steams Workshop, which is used to create content for games such as Team Fortress 2 and Skyrim, has turned one. The user created content has subsequently earned “millions of dollars” for their creators and Steam themselves. The Greatest Video Game Music 2, the follow-up to the best-selling video game album of all time, will be released worldwide on Nov 6 and has been performed by The London Philharmonic Orchestra. The digital soundtrack album will include 17 new orchestral renditions of video game theme songs like Halo, Batman: Arkham City, Assassin’s Creed: Revelations and the ever-so classic Final Fantasy VII. Following the success of Borderlands 2, an iOS spin-off has been confirmed with a release date of October 31. The game sees you play as the original 4 vault hunters from the first Borderlands in a wave-based survival game. Additionally, in true Borderlands style you can earn experience and level up your characters, unlocking new skills and abilities with each character having their own set of unique skills and abilities. The first reviews of Hitman: Absolution have surface in Official Playstation Magazine UK and Official Xbox Magazine. Both magazines gave the game 9 out of 10. OPM said “This is the peak of the series so far” and OXM said “it a triumph of stealth and sandbox design that retains everything that fans have ever loved about the series”. Wish Studios, a newly formed studio in Brighton, is working with Sony to develop a new IP. While other details about the partnership remain shrouded in secrecy, the status of Wish’s new client will likely serve as a significant help to the recently founded start-up’s presence in the industry. A report by Google has said that over 50% of people use their tablet for gaming. The only activity performed more than gaming on a tablet is checking emails. The study, which was commissioned and published by Google, found that 51.5 per cent of its participants used their tablet for gaming in a two-week period. The new dashboard for the Xbox was launched yesterday. It includes an internet explorer app giving the console a browser and the newly launched Xbox music which is similar to that of Spotify. The update also saw the removal of the Twitter and Facebook apps. In an interesting collaboration, a new mod was made for the MMO World of Warcraft which sees the newly introduced pet battles become Pokemon battles. The aptly name WOWkemon sees a short tutorial by Professor Birch describing the Pokémon-ified battle screens and ability menus with the familiar sounds, screen effects, and even the font closely resembling the style of the handheld game legend. Train2Game students can get behind the scenes of Batman: Arkham City’s voice acting in a brand new developer diary from Rocksteady Studios and Warner Brothers. Batman: Arkham City ‘Game of the Year Edition’ Video #2: Audio Voice Talent sees game director Sefton Hill and lead narrative designer Paul Crocker discuss the importance of audio talent to making a great game. It also shows behind the scenes footage of Batman voice actor Kevin Conroy, The Joker voice actor Mark Hamill and Talia al Ghul actress Stana Katic performing and discussing their roles. Watch the developer diary below, right here on The Train2Game Blog. Batman: Arkham City’s Harley Quinn’s Revenge DLC is released on 30th May, while Batman: Arkham City Game of the Year Edition reaches the UK in September. There’s more Batman: Arkham City news here on The Train2Game Blog. What are your thoughts of the voice acting in Batman: Akrham City? How important do you think it can be to a game? Train2Game students can get behind the scenes of Batman: Arkham City’s audio design in a new developer diary from Rocksteady Studios and Warner Brothers. Making Batman Arkham City : Inside Rocksteady Studios. ‘Sound Effects’ comes ahead of Harley Quinn’s Revenge Pack being released at the end of this month. The video features Game Director Sefton Hill, foley artist John Roesch and Audio Director Nick Arundel discussing how sound was created for Batman: Arkham City. Discover things like how the sounds of Mister Freeze being punched in the face, or that of gunfire, were produced to sound as realistic as possible. Watch the video below, right here on The Train2Game Blog. There’s more about Batman: Arkham City here. What are your thoughts on the work behind sound effects in Batman: Arkham City? How important is sound in game design? Train2Game students may be pleased to learn that two UK developed video games are among this year’s nominees for the annual Writers Guild of America Awards. As the name suggests, the awards are usually dominated by American games, but not this year. Splash Damage Lead Writer Ed Stern is nominated for his work on Brink. You can find out how he wrote Brink in last November’s huge interview, right here on The Train2Game Blog. You can also listen to Stern speaking about games writing as part of a BAFTA panel here. London based Rocksteady Studios win a nomination for their work on writing Batman: Arkham City, while Canadian studio Ubisoft Montreal is nominated for Assassin’s Creed: Revelations. Mortal Kombat and Uncharted 3 complete the list of nominees for the awards which take place in Los Angeles on 19th February. The full list of nominations is below. So Train2Game, what are your thoughts on the WGA nominations? What does it say about British games writing? Leave your comments here on The Train2Game Blog, or here on the Train2Game forum. Train2Game students have good news in that it’s been a good week for UK game developers, with two British produced games debuting in the top 3 of this week’s charts. Batman: Arkham City from North London based Rocksteady Studios comfortably takes No.1, giving Warner Bros. their biggest ever launch title. Arkham City sold almost double the number of its Square Enix published predecessor, Arkham Asylum. 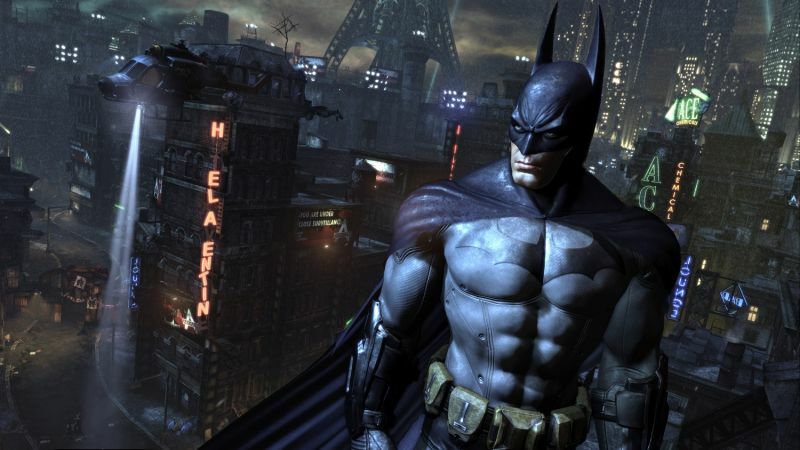 The huge numbers make Batman: Arkham City the 4th biggest launch of the year. Former chart topper, as reported by the Train2Game blog, FIFA 12 remains at No.2 while PC title Football Manager 2012 from London studio Sports Interactive takes No.3 in its first week. Forza 4 drops to No.4 after taking pole position in its first week on sale. Just Dance 3 drops two to complete the top 5, with the majority of copies being sold for the Nintendo Wii. The Sims 3: Pets is the only other new entry in the top 10 this week, reaching No.6 in its first week, one spot ahead of PES 2012 which slips two spots to No.7 in its second week on sale. RAGE from id Software drops four to No.8, while former long time No.1 Zumba Fitness drops to No.9. 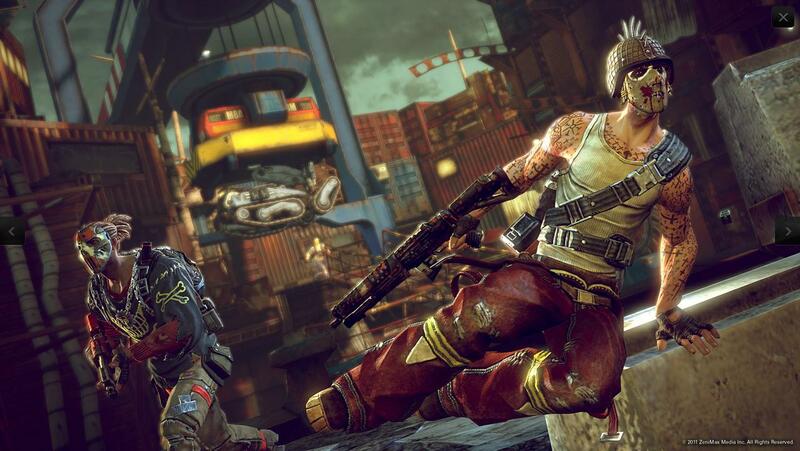 Gears of War 3, another former chart topper, completes the top ten after dropping four places. F1 2012, Dark Souls and Jonah Lomu Rugby Challenge all leave the top ten. The biggest release of the coming week is Battlefield 3, which Train2Game students will know recently held a successful open beta. So Train2Game, what do you make of the good week for British developers? What are your thoughts on Arkham City? And will it be Battlefield 3 that takes No.1 next week? Train2Game may be aware that Batman: Arkham City is released later this month. If early reviews are to be believed, the follow up to the highly successful Arkham Asylum from British studio Rocksteady looks to even more impressive that it’s predecessor. Of course, developing Arkham City was far from a simple process and Game Director Sefton Hill has discussed some of the challenges. 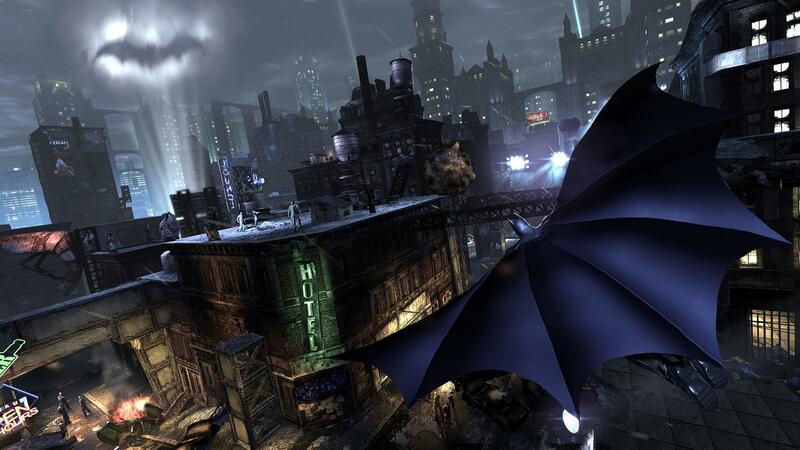 “Creating Arkham City has been a tremendous technical undertaking.” he told Eurogamer. Hill described down developing the title required an immense effort from everyone at Rocksteady. “Our engine teams, optimisation teams, art teams and design teams have had to do a phenomenal amount of work to get this game to run and optimise it and run at a solid 30 frames a second throughout, while creating such a richly detailed city. So it’s definitely not easy.” said the Batman: Arkham City Game Director. He praised the technical team in particular for doing a great job, doing whatever the rest of the team needed. “Huge credit to the technical team, who said, look, we’ll make it happen. You design the best game you can think of and we will work hard to make that happen.” said Hill. “Those guys did a phenomenal job with that. All credit to them because there are a lot of technical achievements in there we’d never done before and taken on.” he added. Train2Game students can get an insight into the game design process behind Batman: Arkham City here on the Train2Game blog. So Train2Game, what are your thoughts on the work behind Arkham City? Is a game that you’re looking forward to? Train2Game students in London have the chance to attend a very special BAFTA Q&A event about Batman: Arkham City this Friday. As stated on the BAFTA website, London-based Rocksteady Studios will discuss the making of the hotly anticipated follow-up to Batman: Arkham Asylum, winner of two BAFTAs for Gameplay and Best Game of 2009. Doors open at 19:30 on Friday 30th September, while the Q&A event itself begins at 20:45. Full event details are available on the official BAFTA website, while Train2Game students who register in advance can go to what will be a very insightful event for free. Full details on that are here. The Train2Game blog attended a BAFTA Q&A session about Duke Nukem Forever with Randy Pitchford of Gearbox Software earlier this year. You can read all about it here on the Train2Game blog. Train2Game students can also get a peek behind the scenes at Rocksteady in this previous article about Game Design in Batman: Arkham City. So Train2Game, will you attend the BAFTA Batman: Arkham City event? What questions would you ask about the game? Here’s one for those of you on the Train2Game Game Design course. In an interview with The Guardian, Rocksteady Studios Game Director Sefton Hill gives a massive insight into the Game Design of the upcoming Batman: Arkham City. It also reveals what goes behind the scenes at the game developer, useful for anyone on a Train2Game course! The Train2Game blog reported that Batman: Arkham City was in development in August last year. That could be useful advice to those on a Train2Game course who’re looking at making their own games in the near future, make something that you find fun and it’s likely it will be fun! The Batman: Arkham City Game Director was asked if Rocksteady subscribed to any particular theories of Game Design. Hill concluded by discussing the future of Game Design. Of course, those on the Train2Game Game Design course now would very much like to be a part of that! 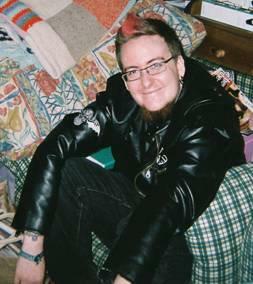 “The beauty of video game development is that the potential for new ideas is incredible. The industry is so aggressively creative that the parameters of what is even possible changes every few years. It’s what makes working in this industry so challenging, competitive and rewarding.” he concluded. Batman: Arkham City is scheduled for release on October 21st, see the trailer here on the Train2Game blog. What are your thoughts on the Game Design behind Batman: Arkham City? And how about how Rocksteady Studios develop games? Are you looking forward to the title?